Diablo and Starcraft on the Big or Small Screen? blizzard Diablo and Starcraft on the Big or Small Screen? Activision Blizzard have hired acclaimed producer Stacey Sher to act as co-president of their television and film development department. You may not know Stacey Sher, but you will know some of the movies she was involved with. Quentin Tarantino's Pulp Fiction, Django Unchained and the recently released The Hateful Eight, popular children's film Matilda and the highly acclaimed Erin Brockovich are some of the most famous films she has produced. SANTA MONICA, Calif.--(BUSINESS WIRE)-- Activision Blizzard, Inc. (Nasdaq: ATVI) today announced that acclaimed producer Stacey Sher has been named co-president of Activision Blizzard Studios, which is devoted to creating television and films based on the company's library of iconic and globally-recognized intellectual properties, including Activision Publishing's Call of Duty® and Skylanders®, and Blizzard Entertainment's Diablo® and StarCraft®. 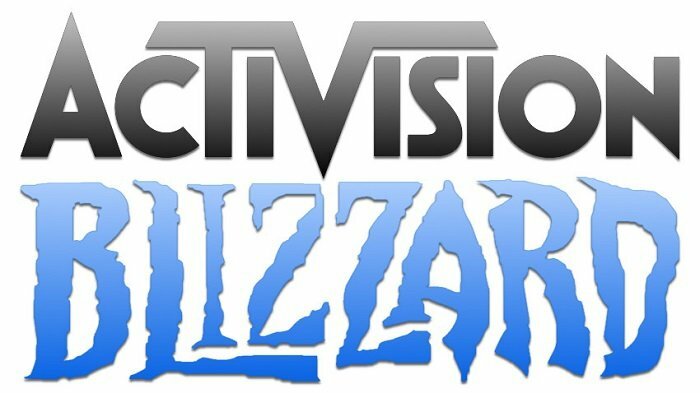 It was already known that Activision Blizzard wanted to make films for Call of Duty and Skylanders, but it seems that now they are considering two Blizzard titles too! Warcraft is already set to release on June 2016 and from the looks of it, it's not going to be the only film on the Warcraft universe. Now, the company wants to expand the movie (or TV) adaptations of its own games with Diablo and Starcraft. Both of these games have deep lore and impressive cinematics; especially Starcraft has a really solid story, perhaps with even greater potential than Warcraft. Combined with Stacey Sher's expertise in the industry, we should be expecting some spectacular adaptations of two of our beloved Blizzard games - if it is indeed true, of course. What do you think? Would you like to see Diablo or Starcraft on the big screen or on television? Video game movies don't have a great track record, but Blizzard takes the time to do things right when it comes to their games. If they apply the same strat to making these movies, I expect they will be great films. Possibly break the negative stereotype usually associated with video game movies. Lately, a lot of people have great expectations for video game movies. They could potentially hurt a lot all this hype about movies and TV series based on comics (even though I enjoy most of them, I am starting to get bored of capeshit stuff coming out all the time - originality anyone?). On the other hand, video game movies could also be a massive flop. From what I've read, some people are expecting Warcraft to be the next Avatar: insanely good graphics, slightly weak story, massive success when first released, forgotten very fast afterwards. There's also the problem of movie length and how much they can fit in there, if LotR movies are any indication I would venture to guess the Warcraft movie to be around the same even if that does sound crazy. I somewhat agree on the Avatar thing, but that movie came out of the blue with no established story (at least in my limited knowledge) compared to what's out there for Blizzard's stuff. Heck, and with the widespread acceptance of gaming as of recent years I would not be surprised if this does well. As far as shows go nowadays there also seems to be a trend towards more sci-fi oriented content; if the shows based off of comics are any indication, among other examples I'd say Starcraft has a good chance (action/romance/betrayal, which is like any tv show ever). I'd love for a Diablo series to come out on tv, but given it's very dark nature I see it on HBO or the like (this is only a conjecture).